So here's goodbye to our Football and World Cup theme month. We loved spending time learning about flags, talking about pickles the dog finding the missing World Cup in 1966, doing some football activities from our activity pack and eating football themed food. 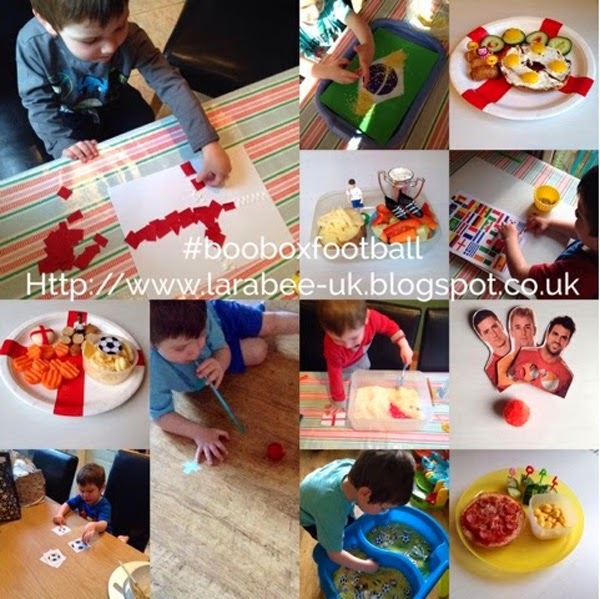 We've also enjoyed some toddler football training that daddy did, playing football at the park, collecting World Cup panini stickers, shaking our caxirola's, blowing Brazilian trumpets, face painting the St Georges cross and reading some football themed books. Phew! It's been a busy one!